After the fool went into the back of me, the axle went and I forgot about it until I noticed the boot was orange with rust. We ordered a new, well, used boot lid. 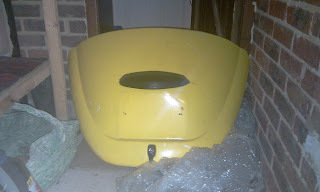 I know many of you emailed me to tell me that the boot lid I had on was not correct. 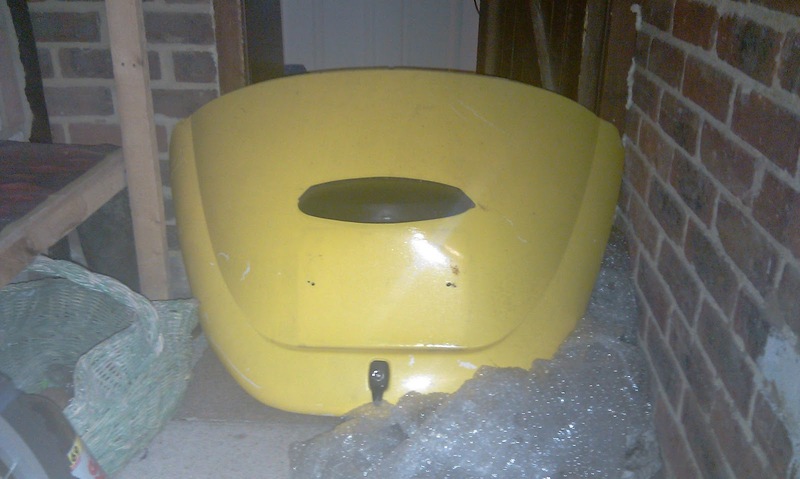 We bought a 1970 1500cc boot lid. 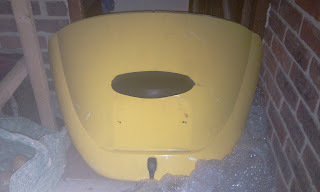 It is yellow, but I will prep it and get it sprayed.